Contributing to our scholarships can seem complex. The University, the Foundation and the Fraternity are all involved. But don't worry, using the directions below, you can get though it very easily. Step 1 - Choose a Scholarship. Step 2 - Choose a process. Once on this page, you will want to be careful to fill in the form correctly so that you can be sure your donation goes to the Scholarship of your choice. Above is a screenshot of the Bloomsburg University Foundation “It’s Personal” donations landing page. Please use this as your guide. *Be sure to write “Delta Pi Scholarship Fund” or “Bill Welk Scholarship” the memo and make the check payable to Bloomsburg Foundation / Delta Pi Fund. If a brother is interested in making a bequeath to our scholarship fund, he can contact John Karas at 570.389.5144. John is BUF’s designated person who can assist you. *Be sure to say: “Delta Pi Scholarship Fund” or “Bill Welk Scholarship” and make the check payable to Bloomsburg Foundation / Delta Pi Fund. *Be sure to write “Delta Pi Scholarship Fund” or “Bill Welk Scholarship” on your email and/or make the check payable to Bloomsburg Foundation / Delta Pi Fund. Money in our Scholarship(s) is managed by the Foundation and can only be used for student scholarship awards . We , however, get to decide the beneficiary. The amount available for our award is calculated annually by the foundation and is based in part on the amount of money we have in the fund. Selection criteria includes GPA and an Active Brothers standing within the Fraternity. And since the Bloomsburg University Foundation, Inc. is a 501(c)3 organization, your donations are tax deductible. 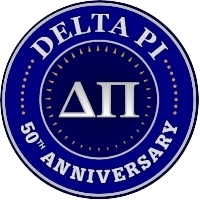 So thanks for your support of the Delta Pi Alumni Association and for supporting our Scholarship Fund(s). Once there, you will see these directions below. First year awarded: 201. From left: Chuck Ranck, first Fund Director. Matt “Potter” McCarthy, recipient. Ernie Lemoncelli, Alumni Pres. Matthew “Potter” McCarthy was the first year’s award recipient. $1,500.00 went towards his education expenses at the University. Chuck Ranck #11 and Ernie Lemoncelli #169 present the check. The Delta Pi Sigma Pi Alumni Association has endowed a permanent scholarship fund to help our active brothers with their educational pursuits. This fund was established in perpetuity through the Bloomsburg University Foundation on behalf of our Fraternity. The BU Foundation dictates that a fund will become permanent provided an endowment of $10,000 is raised within 5 years. We did it in less than a year! A special thank you is due to Brother Chuck Ranck #11 who spearheaded the establishment of this fund and has acted as our liaison to the BU Foundation. Great job, Chuck! The Foundation handles all the financial and legal requirements and since it meets 501(c)(3) guidelines, your contributions are tax-deductible. The Scholarship Fund and contributions to it are irrevocable gifts. All contributions go directly to our Fund and only our Fund, as part of our Agreement with the Foundation. A selection committee has been established to annually select a recipient, according to criteria developed by the DPSPAA Executive Board. Financial need, academic achievement and status as an Active Brother in good standing are the basic components. Over $45,200.00 has been raised as of August 2011 . Thank you for your support ! or donations can be made online at www.bloomu.edu/giving. Every dollar of your donation goes to the Scholarship fund and it is tax deductible. In the annual letter sent by BU asking to support the university, there is a line entitled “Other”. All you have to do is write Delta Pi / Sigma Pi Alumni Scholarship Fund on that line. Brother Bill Welk illuminated with many dynamic characteristics. and inspiring us to be better people. memory alive, but allows us to keep giving in his name. as the first recipient of The Bill Welk Scholarship. develop his leadership skills, as current President of Delta Pi. Scholarship in a ceremony at our Homecoming activities in October 2012. Join us in congratulating Mike. This scholarship is a little different (like Weez). It is not awarded through the school, or vested in any way. The $500.00 seed money is put up by Dave's brother Tony each year, and anyone is allowed to add to that total during the course of the year, by using our store, and making a contribution. Whatever is in the account, is what is awarded each year @ Homecoming...and then, the process starts again. Because it is a dynamic fund/scholarship, it exists purly at the will of the brothers. It's not a tax deductable donation, but it is a great way to help the brothers that help Delta Pi endure. This Scholarship is also unique because the recipient is selected by the Active brothers, and not the conditions dictated by the University, Alumni or the Foundation. This is our most versatile, direct, and dynamic award. Dave (#369) pledged Delta Pi in the spring of 1983, graduating in May, 1986. Tragically, he recently passed away. To honor his memory, a $500 annual scholarship in his name is now available to the Brother who best meets the outlined criteria. Dave was deeply proud to be a Delta Pi Brother. Our fraternity allowed Dave to forge lifetime friendships and many, lasting memories. He was known for his hilariously sharp wit and raucous extra-curricles. More importantly, Dave was a fully committed, truly dedicated Brother. He had a deep passion for Delta Pi. 3. Demonstrated, consistent examples of hard work & dedication to advance the fraternity i.e., recruiting pledges, volunteering, etc. etc. 5. Trusted to demonstrate personal integrity by allocating the scholarship for college expenses-only i.e., tuition, books, rent, etc.